Before reading the following list of conditions treated, please understand how natural and holistic therapies work. Effective homeopathic and naturopathic treatment is prescribed to the patient as a whole, not to a named medical condition. At this Perth natural therapy clinic, a treatment will be chosen for you because it covers a pattern of symptoms on all three levels: mental, emotional and physical, and not because it suits a medical diagnosis. There are no “specific” remedies in homeopathy or naturopathic treatment. 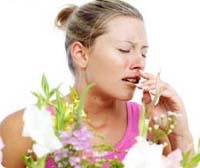 The remedy that works for your hay fever, for example, will not necessarily help someone else. Because of differences in symptoms a new medicine needs to be determined for every person, despite the name of the condition treated. That is our job; and at our Perth clinic we have thirty experience at achieving results. We know what works. 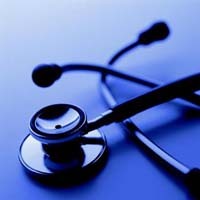 In effect, we treat patients for their body’s pattern of ill health. The phrase conditions treated is a reference point only. 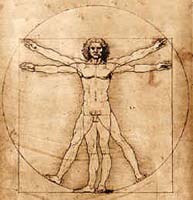 Our philosophy is that only the body cures, and that everything in the body is connected. Any improvement is then due the restoration of health in the person as a whole. (Please read the pages homeopathy explained and patient information for more explanation). Treatment is only determined in consultation, through an extensive case history, and individually dispensed for your unique pattern of illness. That is the secret of our success. No over-the-counter-sales are done in any circumstances and no pre-prepared products or mixtures used. Government regulation prevents us from dispensing remedies or medicine outside a consultation. Like a doctor, we can only advise treatment or give advice after a private interview. For more serious conditions, we do not attempt to take patients off their prescribed medication without sending them back to their medical practitioner after a period of treatment and improvement. Life threatening conditions are not treated; and if patients consult us first and we suspect serious problems, we will always refer them on for medical investigations. 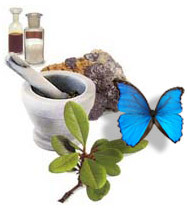 …In fact almost anything can be potentially treated by homeopathy, supported by naturopathic understanding. But as always the focus is on the whole person, not just the diagnosis. That is the key in aiming for a successful result! Please understand, however, because of this very fact results will vary depending on the skill of the homeopath in understanding the person and their individual spectrum of problems. While all age groups are treated, homeopathy is especially useful for children, who have problems swallowing herbs or vitamins. Homeopathic medicines are tasteless. They are easily administered, both to babies and older children and are perfectly safe (even for pregnant women, in the potencies used in this clinic). Ear infections, bronchitis, colds, tonsillitis, sinusitis and other acute complaints may be quickly resolved, but also the recurring tendency for these complaints is addressed. These medicines are also particularly useful for typical childhood infections like ringworm, impetigo (school sores), molluscum contagiosum and roseola. Because homeopathy looks at the whole person, including the emotions, the mental outlook of all age groups can improve with treatment, along with physical issues. One remedy is chosen for the whole person, so the aim is to stimulate the body’s own self regulation and healing. This depends on the skill of the homeopath in each specific case, so no particular claims are made about individual diseases or conditions. Results will vary from case to case. Predictions of a typical response to treatment will only be made after an extensive consultation.